I got down to New Orleans for the Community Food Security Coalition’s Annual Conference a few days ahead of schedule and enjoyed two fabulous meals with my husband and his business colleagues at Galatoire’s and Herbsaint. We ate Louisiana crab, shrimp and trout (and I sipped a French 75) on Thursday night at Galatoire’s, the grand dame of Creole restaurants located in the French Quarter. And, more Louisiana shrimp (served over grits) and Gulf of Mexico Drumfish at Donald Link’s, a James Beard Winning Chef, restaurant Herbsaint on Friday. 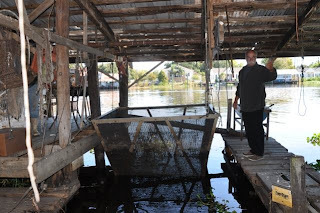 No doubt, I thoroughly enjoyed these two meals, but there was nothing like my trip to the bayou to Des Allemands Outlaw Katfish Company, and eating lunch with fellow food advocates prepared by our hosts Joey and Jeannie Fonseca. 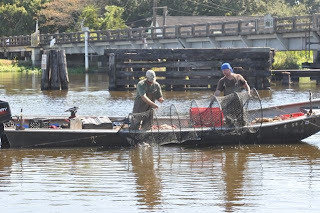 Des Allemands is about an hour outside New Orleans. A bayou fishing village, Des Allemands is also known as the “catfish capital of the universe”. 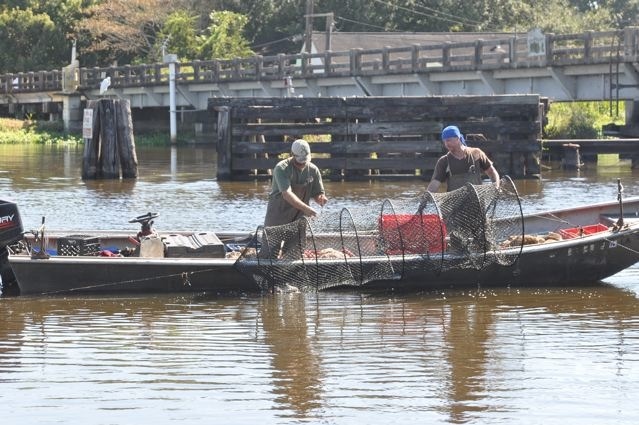 No fish farms here, the catfishermen of Des Allemands catch wild catfish using handmade hoop nets, like the one above, a highly reliable technology the Cajuns got from the American Indians. 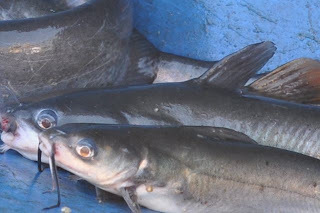 Wild catfish, besides being very cute to look at, are more flavorful than farm raised and don’t do any damage to the environment. 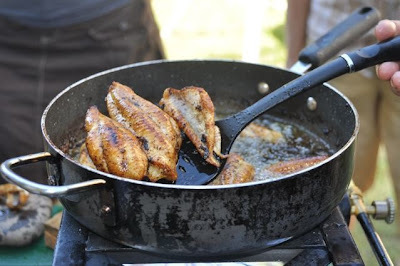 Nutrition-wise, according to the USDA, wild catfish are higher in omega-3 fatty acids and lower in fat calories than farm raised catfish are and good for you (so long as they are not deep fried, of course). We threw back the fish after taking a few photos. Most were below the size limit of 11" or bigger. Joey and Jeannie Fonseca own Outlaw Katfish Company and provide fresh water blue claw crabs, alligator sausage and, of course, catfish (and other swamp critters) to many of the top New Orleans restaurants and MarketUmbrella sponsored and other farmers markets in the area. 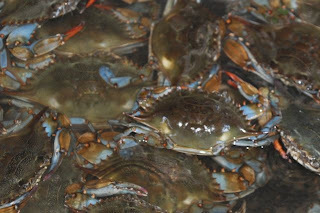 Below are some pictures of the in water crab pen and crabs where they keep a few hundred just for their own use (they sell the rest). The Fonsecas are outgoing and lovely hosts. 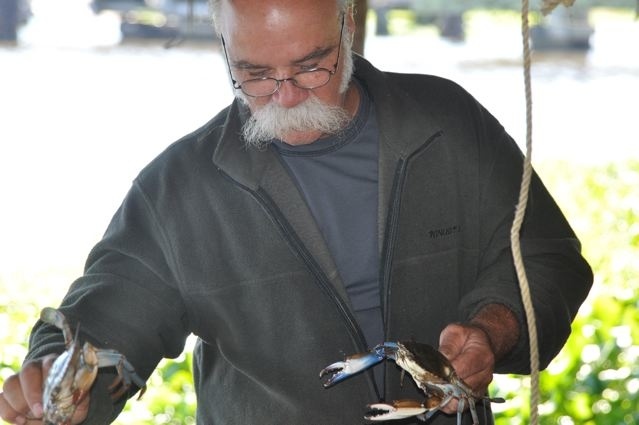 Joey, in particular, has many fishing and alligator hunting tales that will keep you on the edge of your seat. 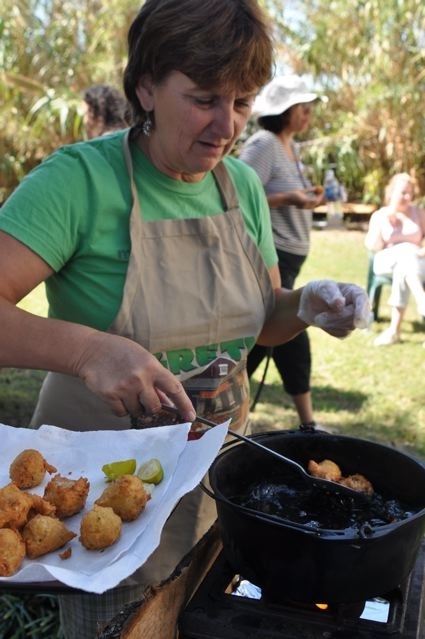 Outside over propane fuel burners, they cooked up a delightful Cajun lunch of buttery catfish cooked in Cajun seasoned corn and rice meal that melted in my mouth, and savory hush puppies. I thoroughly enjoyed the 80 degree weather and cool breeze along the bayou. And, most of all, meeting the Fonsecas, dining on their "de-lish catfish" and savoring their Southern hospitality. Thank you Community Food Security Coalition and Darlene Wolnick, farmers market guru, of marketumbrella, which runs the Crescent City Farmers Market, for arranging this once in a lifetime and very memorable outing and Darlene's hugely informative narrative.